Homeowners and business owners could spend hours looking for a good, reliable plumber. Unfortunately, when a plumbing emergency happens, you don’t have the time to look for a plumber, which is why it is important to know who you can trust. 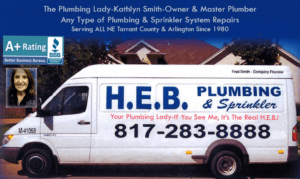 People in Southlake, TX know and trust HEB Plumbing & Sprinkler-Kathlyn Smith to provide quality residential and commercial plumbing services. 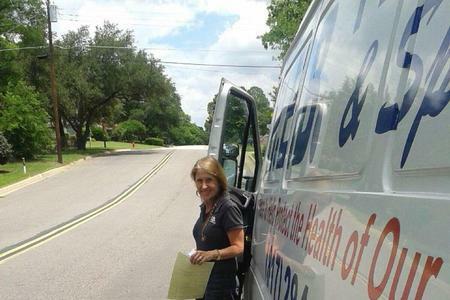 For over 35 years, we have been a trusted provider of quality plumbing services to residential customers and commercial businesses located all across Tarrant County. In an effort to provide our customers with the best plumbing experience, we offer a comprehensive selection of plumbing services that range from standard repairs to leak detection and sprinkler installation/maintenance. Offering a variety of services allows our customers to know they can call us to handle any plumbing problem, no matter how big or small. Call our office today to learn more about our plumbing services and how our professional Southlake plumbers can help you when you need it most. Extremely Knowledgeable and efficient. Nick explained everything he was doing and showed me the old parts without me even asking.New to the area so I am always afraid of being ripped off especially when they see the neighborhood. No worries there. The pricing was what they had told me. They did a great job. Will definitely use again. We ran out main sewer line through clean out at kitchen window and through toilet flange. Pulled back massive amount of flushable wipes. We also changed angle stop & supply line. We checked entire sprinkler system for proper coverage and leaks. We made several adjustments & repairs to rotors, heads and nozzles for better coverage. We replaced homeowner's parts for running toilet in guest bath. We also replaced the fill valve. We replaced homeowner's parts for running toilet. Also replaced the fill valve. We augured out master bathroom toilet.